Ni(OH)2 precursor was prepared by precipitation and transformation method using nickel nitrate and sodium oxalate as raw materials and cetyltrimethylammonium bromide (CTAB) as dispersant. After heat treatment, the obtained NiO powder was characterized by X-ray diffraction (XRD), scanning electron microscope (SEM), cyclic voltammetry (CV), constant current charge-discharge method, and electrochemical impedance spectroscopy (EIS) techniques. The effects of surfactant concentration and calcination temperature on the morphology, structure, and electrochemical properties of NiO were studied. The results show that the NiO obtained under the condition of CTAB concentration of 0.8 mol/L and heat treatment temperature of 300 °C presents a typical pseudocapacitance property in the potential range of 0–0.4 V (vs. SCE). Under the operating voltage of 0.4 V and the current density of 5 mA/cm2, the specific capacitance of the single electrode is 536 F/g. 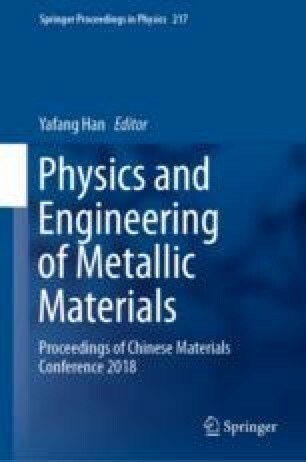 By optimizing the preparation conditions, the single-electrode specific capacitance of the NiO material has been significantly improved. This work is supported by the National Natural Science Foundation of China (51561030).